For those who love hunting, the ability to shoot with precision matters a lot. Nikon has been a frontrunner in the optics, and has designed many scopes, camera lenses, binoculars, spotting scopes and similar optical accessories to assist your outdoor adventures. Their rifle scopes vary a great deal in terms of budget and specs. From low cost rimfire scopes to expensive high-end scopes with laser range finders, Nikon has established itself as a game changer in this industry. Nikon Buckmasters II 3-9X40 scope is a brilliant riflescope that will enhance your vision and accuracy while hunting in a range of 200+ yards. Whether you go hunting early in the dawn or late in dusk, Nikon Buckmasters II will make it possible for you to accurately shoot your target. Engineered as a collaboration by Nikon and Buckmasters, this riflescope offers the brightness and clarity of Nikon’s multicoated lenses, a brilliant eye relief, and a uniquely designed reticle. Why should I get a Nikon buckmasters II scope? One of the striking feature that makes Nikon Buckmasters II a great riflescope is its bullet drop compensation (BDC) reticle. The Nikon Buckmasters BDC reticle allows hunters to adjust bullet drop in the field and hold ‘dead-on’ at ranges as far as 300 yards. The BDC reticle has unique see-through ballistic circles that give an advantage for long range shooting. It consists of a series of circles below the center point of crosshairs that allow you to see through them such that you never lose sight of your target. This is simply a brilliant design because the circles don’t interrupt the sight when taking closer range shots. To make it even more efficient, you can adjust your scope with an app called the Nikon Spot On Ballistics Match. With this app, you can input your ammo information, gun information, scope and suggests you the BDC that you need to adjust for. Together with this app and Nikon Buckmasters II, you will have a great hunting experience. The optics of Nikon Buckmasters II riflescope are eniterly multicoated, and the scope is filled with nitrogen that makes it waterproof, fogproof and shockproof. The multiple layers of anti reflective compounds on all glass surfaces of this scope offer hunters bright and clear pictures and optimum light transmission. The anti-reflective system of these multicoated lenses offers over 92% anti-reflective capacity. 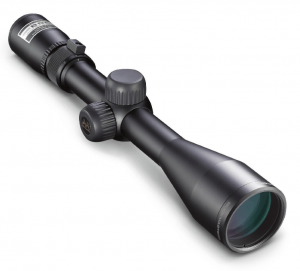 In addition, this scope offers precise hand-turn ¼-inch at 100 yards click adjustments. It means that the positive-click reticle adjustments will get you zeroed in quicker, retaining your setting even with a heavy recoil. These features make it one of the best riflescopes in its price range. With Nikon Buckmastes II, you will be a better hunter in a matter of days. To gain insights on what users thought about this riflescope, we reviewed feedbacks and comments from a large number of customers online. We found that the clients were pleased with the quality and functionality of Nikon Buckmasters II 3-9X40 scope. Specifically, users found the scope durable, easy to zero in and usable even with heavy recoil weapons. More than 80% users that bought Nikon Buckmasters 3-9X40 scope from amazon have reviewed it as a brilliant scope for an affordable price. 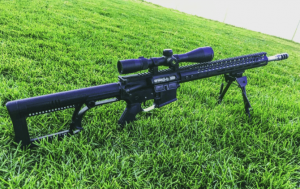 The users have praised the optics and build of this riflescope as comparable to some of the high-end scopes for its brightness and clarity. 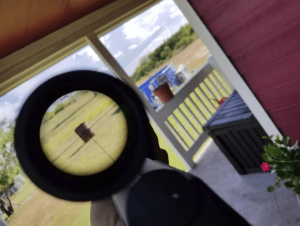 There are some users who thought that the scope could have been made even more fitting for a longer range of shooting (more than 400 yards), but for its designated range, Nikon Buckmasters has surprised the users with its awesome quality. Especially for its very affordable price of just above 100$, this scope has been received as a very efficient hunting aid. 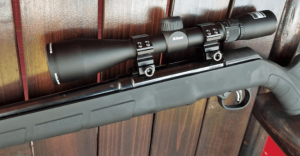 Deciding which scope to use for hunting is always a bit of dilemma, but you should keep in mind that your scope needs to be as powerful as your gun is. Choosing a scope with more power than your gun will only confuse you. If you want a medium range scope for a very reasonable pricing, Nikon 3-9X40 scope is the best fit for you. With its craft that is tailored for mid-range shooting, this scope will simply amaze you with its quality and performance. If you decide to get a new riflescope, remember that Nikon has a no-fault repair/replacement policy that offers you to replace/repair your device in case of damage. This means that you’ll save additional costs in case of damage. View Nikon Buckmasters II 3-9X40 on amazon.